Horses are beautiful, majestic creatures but even they are susceptible to health problems. We created a list of the most common of their health problems. Making yourself aware of any illness can help you prevent any major problems. Colic- Just like humans, horses also suffer from colic. Colic for horses is a broad term that covers all digestive problems horses face. A few ways to detect colic in a horse is loss of appetite, constipation, infrequent bowel movements, and signs of being in pain. Heaves- Also known as recurrent airway obstruction, Heaves is chronic respiratory inflammation. Signs include shortness of breath, moist coughing, and wheezing. Laminitis- An inflammation of the internal structure of the hoof, laminitis is a painful condition that could cause lameness. The affected foot can feel hot to the touch. 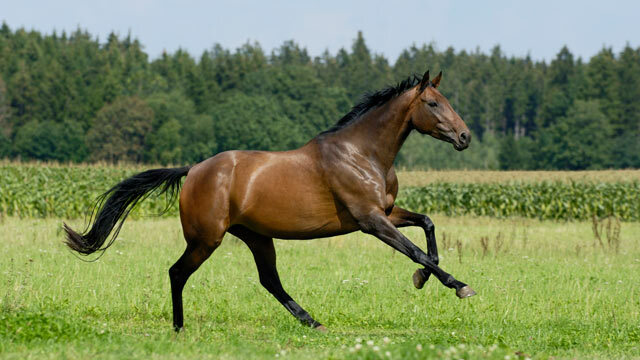 Parasites- Horse can contract both internal and external parasites. Internal parasites can be controlled through regular deworming. External parasites can be eliminated with a thorough bath and combing. Tying Up- Another name for exertional rhabdomyolysis, it is a disease that causes muscle damage or degeneration. Signs are a stiff gait. Soreness in the hind limbs, cramping, and reluctance to move. There is a possibility that your horse will need medical assistance. Make sure you have the ability to get your equine the help they need by signing up for horse medical insurance. Our agents at Ark International Group can help you with all of your horse insurance needs. We know how important your horse’s health it to you. For more information about our services, contact us at 800.328.8894.